Our dedicated academies team has vast experience in the education sector. 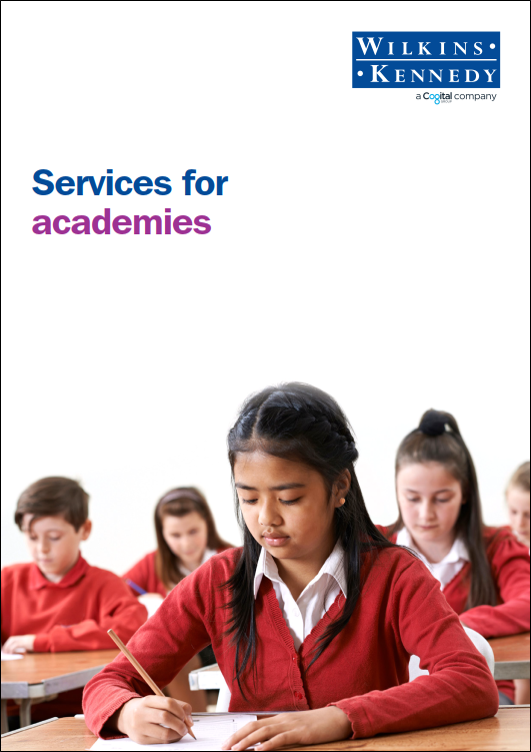 We have successfully worked with over 100 academies and multi-academy trusts in the UK, as well as umbrella trusts, free schools, and University Technical Colleges (UTCs). We understand the challenges that educational establishments face. Our specialist team supports governors, bursars and other members of the senior leadership team with issues such as the ever-increasing regulatory burden, financial performance and pressure on budgets. We have worked in the academies sector for more than 10 years, and in that time have helped many schools with the conversion process to becoming successful academies. We are now being increasingly sought after to help groups of schools to form multi-academy trusts. As you might expect from specialists in this sector, we exhibit at the Academies Show and regularly liaise with the ESFA and NAO. We also promise to give you support from the outset, sharing our wide sector knowledge and ensuring that you plan your finances effectively to make the most of becoming an academy or MAT. After conversion we continue working with you to help you develop and benefit from all the opportunities and funding available. We provide a full range of accountancy and advisory services, tailored specifically for the unique needs of academies. Advice on accounting software and application of accounting standards. Review of academies budget returns. External audit and regularity audit. Assurance reviews, statutory accounts and annual returns. Corporation tax returns and completion of VAT Form 126. Governance reviews and internal audit. As part of our ongoing commitment to helping academy schools, we provide a free seminar and workshop programme for academy staff, senior leadership team and governors. We also provide regular email updates on the latest sector issues including new legislation, operations, funding and VAT changes. New legislation comes into force this year for large Multi-Academy Trusts – and the deadline is looming. The Government has introduced new rules relating to how much PE and sport premium funding primary schools receive and how they can spend it.